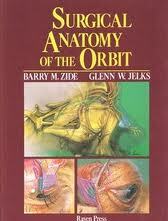 This outstanding pictorial reference vividly captures the surgeon’s view of the orbital and periorbital structures. Drs. Jelks and Zide–leading authorities in ophthalmic and plastic surgery–bring you an unprecedented collection of 77 full-color photographs of fresh dissections, juxtaposed with full-color paintings of the surgical anatomy. This innovative combination of fresh tissue preparations and surgical drawings affords a much more realistic view of the complexities of this anatomy than found in standard atlases which depict embalmed dry specimens. The illustrations are carefully labeled and methodically organized for easy reference and presurgical review. Clear descriptive captions provide the surgeon with helpful guidelines to correlate with clinical material. This unique large-size atlas represents the orbit and surrounding soft tissues as they might actually be seen during an operative procedure. This method provides a complete preview of the prospective surgical site for both the seasoned surgeon and the resident in training. The comprehensive presentation is also ideal for anatomic study in preparation for board certification.